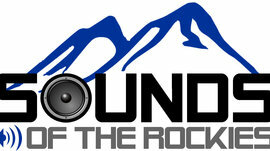 Sounds of the Rockies Entertainment Group offers and presents a division of our company, Colorado Event Productions to our clients to provide you with the same service, quality and reputation that you know and expect from us over the years! In our efforts to provide first class service to our clients of each company and meet their requests of a ONE STOP SHOP, COLORADO EVENT PRODUCTIONS was born! Colorado Event Productions is a collection of 5 Reputable Event Companies under one roof! Each company we own and operate runs seamlessly alone or all together to form a ONE STOP SHOP we bring to any event - known now as Colorado Event Productions! Please visit ColoradoEventProductions.com for full details of all of our services! COLORADO CASINO NIGHTS - Full Casino Themed Events. Colorado Casino Nights also offers Colorado's only LED CASINO TABLES for a VIP or High Roller area to your guests! COLORADO EVENT PRODUCTIONS (Lighting, Lounge & Decor) - Event lighting & design, Lounge Furniture, Fabric and more! Please visit ColoradoEventProductions.com as a collective website or each website (links) for more information on our services! 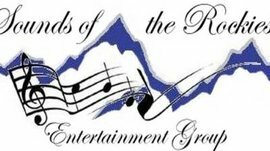 Sounds of the Rockies Entertainment Group, LLC is a fully registered and insured mobile entertainment and production company. All company services provided any represented company are owned and operated by Sounds of the Rockies Entertainment Group and run by their employees and are not sub-contracted events. "We are dedicated to providing the BEST possible service before, during and after each event. Serving Colorado since 1995, we pride ourselves on the quality of our service & value of our trusted reputation."